The luck of the Irish may be with you on this St. Patrick’s Day if you want fast access to Google’s slick weather portal. 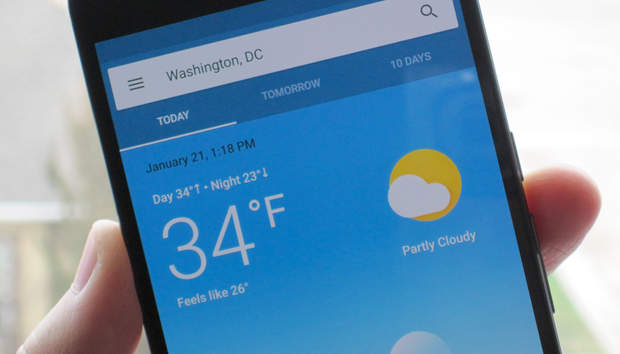 Some Android owners see an offer to add a home screen button for instant access to the splashy weather experience inside Google Now. This new weather option is great, but you might have to wait your turn to get it. While we spotted a report on Google+ and Android Police about the new trick no one here on Greenbot team has been #blessed with this just yet. There’s no APK out there with any type of change either, as this is probably pushed out through Google’s servers. We’ll keep trying and will update if this comes to fruition. The impact on you: If nothing else, let this serve as a reminder to check out the neat weather options inside of Google Now. To further whet your appetite for this fast access you can check out the many good weather apps, including some that play nicely with Android Wear, awaiting you in Google Play.